Can golfers over 50 really see marked improvement in their golf game through fitness? The answer is a resounding YES, provided they follow a program specific to their body and the sport of golf. There is a mountain of scientific evidence showing that men and women into their 90’s can gain flexibility, mobility, strength and even POWER. All of these qualities have direct carry-over to improved golf performance, not to mention more vitality in your other activities and everyday life. Do not panic We are trained for this! In addition to the assessment, we’ll be happy to speak with any of your other health care professionals (with your permission) to ensure that our program is optimal for your current state of fitness and your goals. 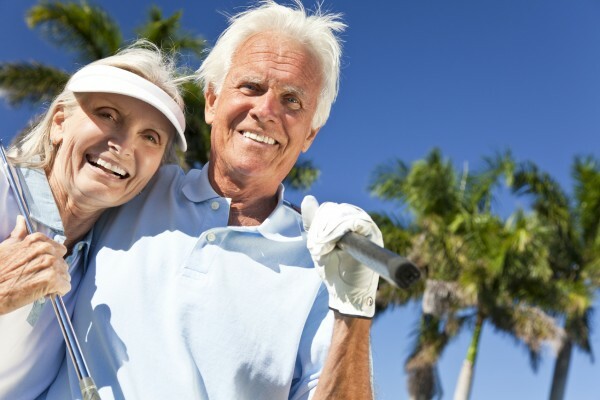 Through our extensive experience working with golfers age 50-87, we can promise that you have many more enjoyable golf rounds in you than you may have been led to believe. As a matter of fact, we guarantee it! Call or submit an email TODAY to set up your no obligation tour of our facility, and give us the opportunity to hear about your golf fitness goals.